If you need to provide fit testing for your employees then we can provide a fast professional solution for you. Follow our 3-step check list to help you meet your Fit Testing requirements. 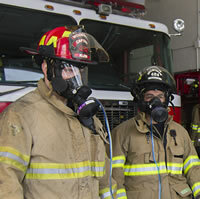 Remember fit testing is required for everyone who wears any type of tight-fitting mask at work. This includes disposable, half and full face masks (plus SCBA and BA masks). You will need to know the type, make and model of each mask worn in the workplace to ensure fit testing is appropriate. 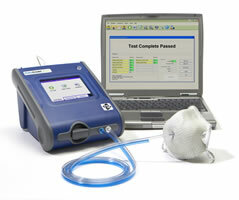 We provide a full range of test masks which can be used for selection and fit testing. Your answers to the above steps will enable us to provide you with a price and time-schedule for your fit testing. Please contact us; our lines are open 8am-8pm.